You don't need to know photoshop to edit pictures. 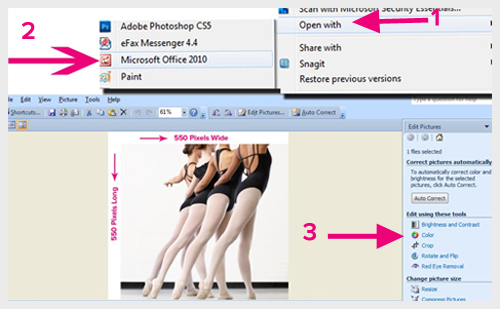 Both PCs and Macs have free photo croppers: In PC, right click on your photo and open with the photo cropper (see below.) Next, crop image using the cropper on the right hand OR the resize tool, also on the right.